Red River Delta is not navigated by many cruise operators. 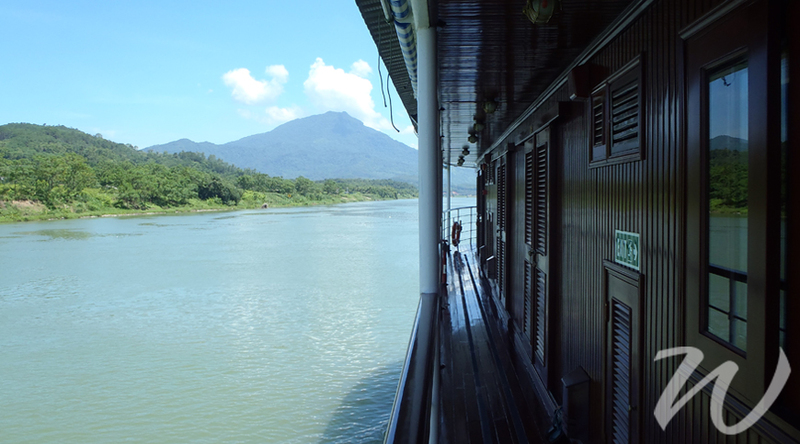 Winding its way through Northern Vietnam, it joins Halong Bay with Hanoi and the less-visited interior beyond. Pandaw’s Halong Bay & Red River cruise travels this waterway to combine well-visited favourites with off-the-beaten-path discoveries over 11 days, all from the comfort of the RV Angkor Pandaw. And what do passengers of this new cruise route experience? 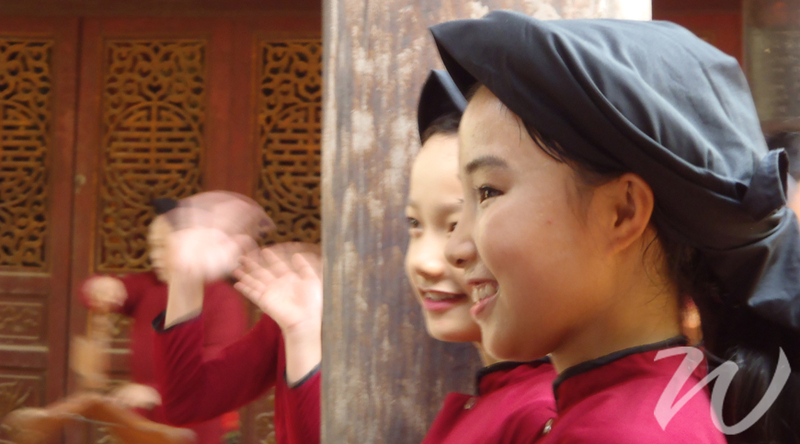 An undisturbed glimpse into riverside life in Northern Vietnam. 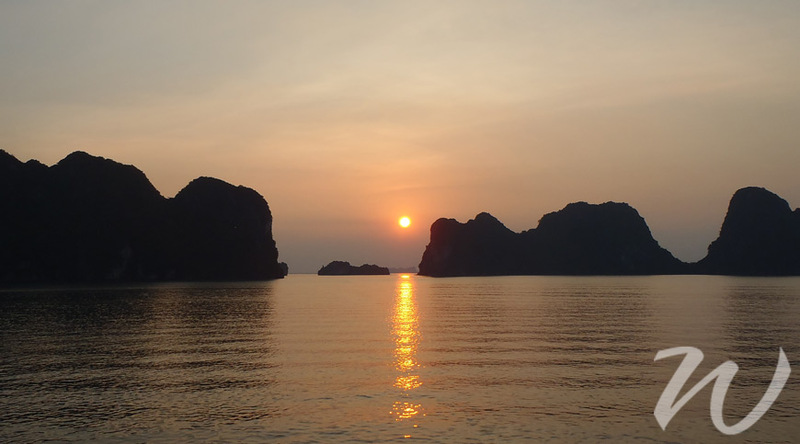 I was recently a passenger on the Halong Bay & Red River cruise and, with so much to enjoy aboard, here are five of my highlights. Let’s start with the obvious, shall we? Halong Bay is simply jaw-dropping. Throughout its vistas are liberally scattered karst limestone islands that throw craggy shapes across the water no matter what time of day. Sailing out at sunset was an introduction fantasies are made of. For two days we navigated the bay, visiting floating homes or kayaking into bays only accessible through caves and tunnels. No matter how many times I come here, it still amazes me that this formation of islands occurred naturally. Now on to lesser-known terrain on the Da River. Sailing way up the Delta brings with it vast green fields. With hills that combine landscapes enjoyed best at cocktail hour with your feet up. 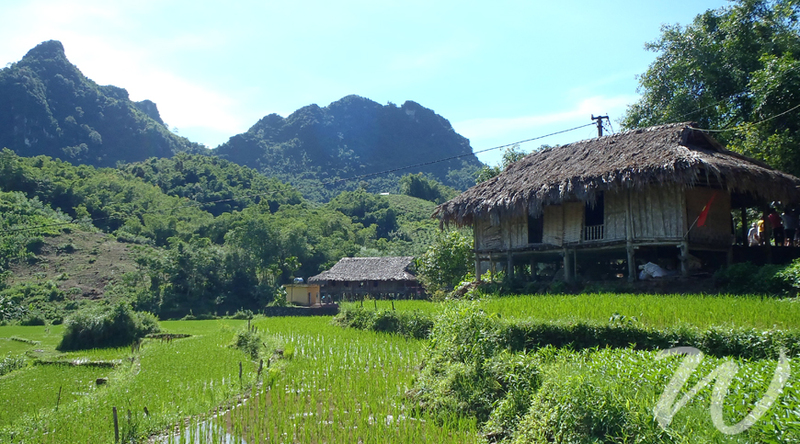 Daily excursions head into these traditionally Vietnamese settings, with one visit, to the charming Muong village in Hoa Binh, offering a brief look into Vietnam’s past. The traditional houses, teetering on stilts and topped with straw, are beautifully situated against the surrounding hills. Always welcome and patient, the groups of people we interacted with on the shores of the Red River Delta swiftly endeared themselves to us. Most of all, the energy they display while sharing their cultural gems with us is infinite! 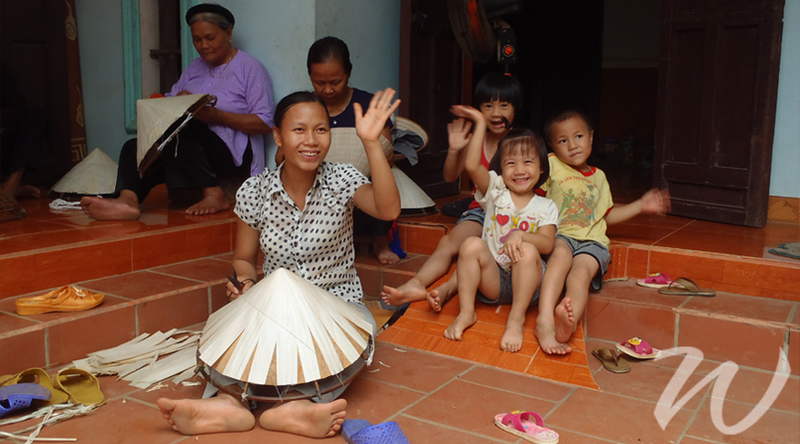 What resulted was a series of delightful encounters, both organised and otherwise, that ensured we got a feel for what living in Vietnam would be like. 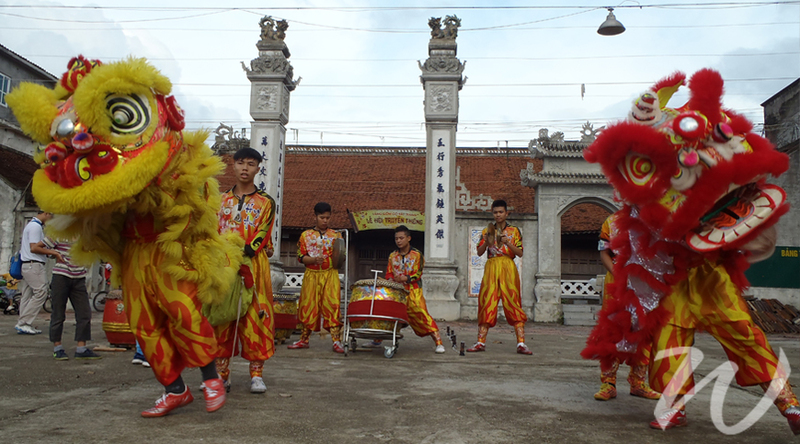 In Thanh Ha water puppeteers dazzled with colourful tales of old; we were farewelled in Hanoi with a unicorn and lion dance at the jetty; Gia Thanh locals made conical hats for us as we chatted, and at Hung Lo temple we were led in traditional songs and dances (known as Hat Xoan). 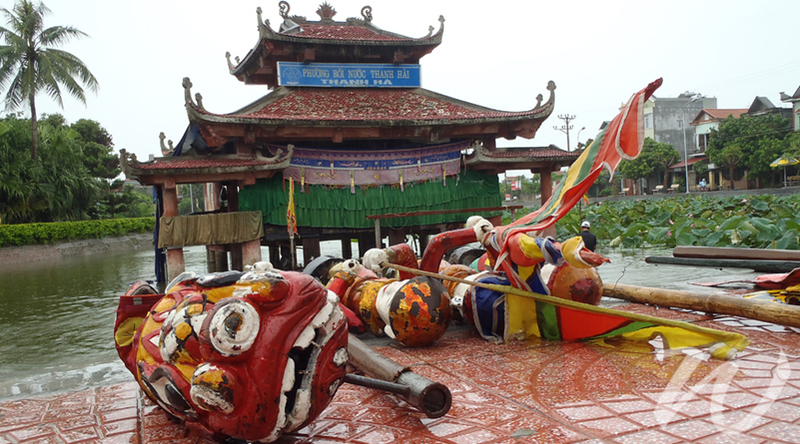 Like many countries in Asia, Vietnam also impresses with its temples. Steeped in a rich and turbulent history, there are countless sites where Vietnam’s distinctive architecture adorns culturally significant sites. 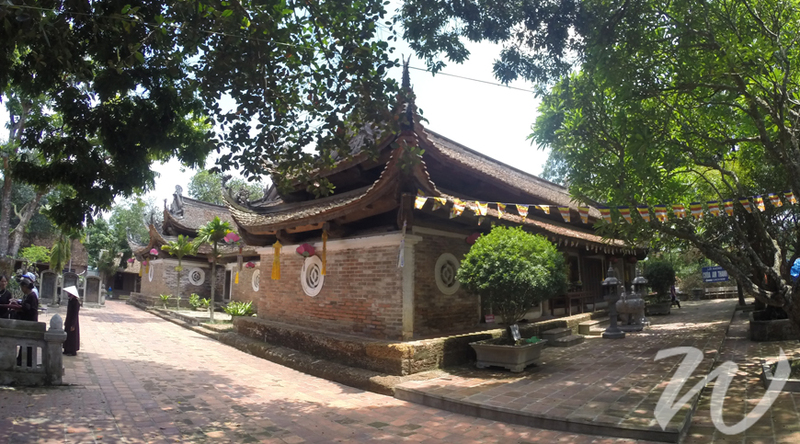 The Temple of Literature and One Pillar Pagoda in Hanoi and the Thay and Tay Phuong Pagodas in Viet Tri are just a couple of excellent examples. 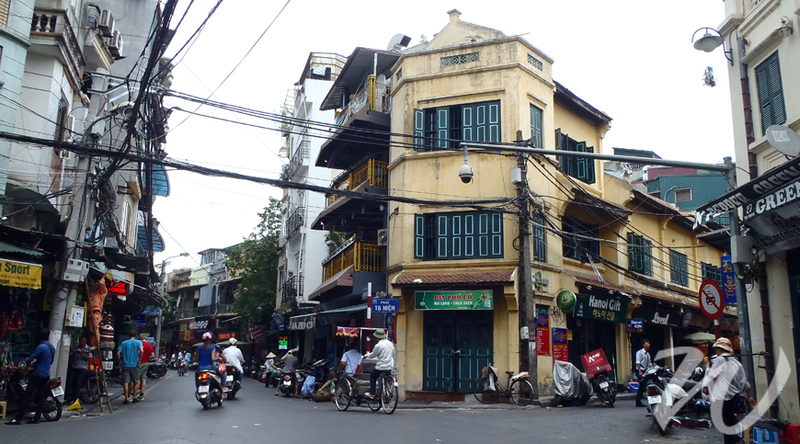 Hanoi is a city where life spills into the streets in abundance, culminating in sights, smells and tastes that readily delight. As there are more scooters than people, you can’t escape the two-wheeled vehicles, which transport everything from tourists to tables at all hours of the day. Cafes, bars and restaurants in the Old Quarter sprawl from small nooks out onto the roads, where patrons perch on tiny stalls to talk animatedly whilst enjoying the classic cuisine and bia hoi (local beer). It’s hard not to embrace the sheer scale and energy of an average day in this city. Travel and cuisine are such complementary pleasures that many can’t separate the two. Fortunately, in Vietnam, you don’t have to. Sourcing supplies locally, the Pandaw chef delivered a variety of Vietnamese dishes, the best being any of the many noodle dishes, which incorporated lemongrass, seafood, beef and multiple spices. There was even a spring roll making class. Ashore the tastes kept coming. 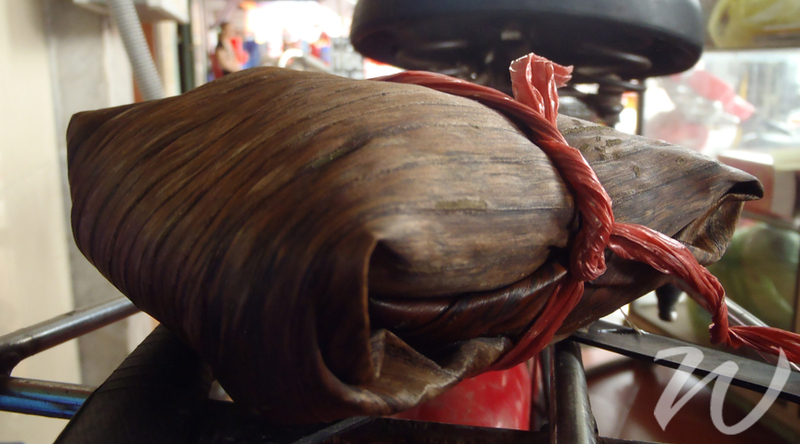 We tried Gai cake, a sticky rice snack, filled with sweet mung beans and wrapped in banana leaves. There were also local many types of Vietnam’s famous coffee, one of which, Ca Phe Trung, contained egg, was decadently sweet and surprisingly delicious. ‘Welcome home’ is what you’re greeted with each and every time you set foot on the RV Angkor Pandaw and home is what it quickly feels like. The vessel itself stretches over two levels and combines scenic open-air perches and an air-conditioned dining area, all tailored to make the most of the passing scenery. 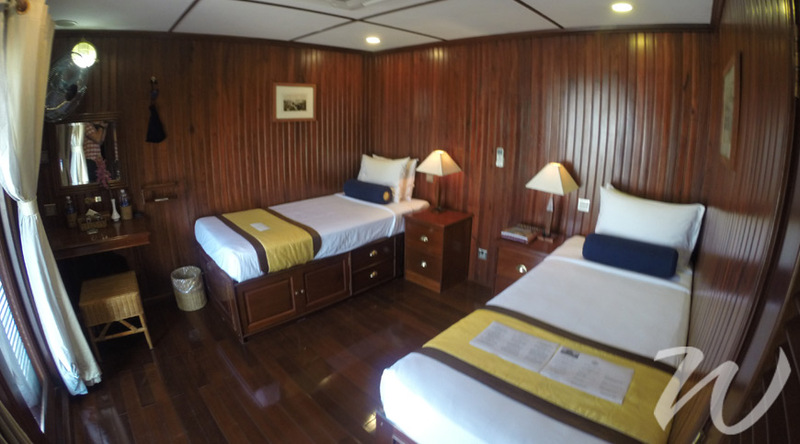 Most noteworthy are the cabins, which are air-conditioned and also offer all the creature comforts you’d want while on an expedition into the unfamiliar waters of Red River. While mastering the art of hospitality, the crew also had a knack for being there with whatever we needed. Precisely when we needed it. The crew on board brought a lot of character to daily life in addition to their hospitality. Talking about the destinations we were visiting, while also offering advice on food and telling us about their home lives. They were an affable presence to return to after each excursion. 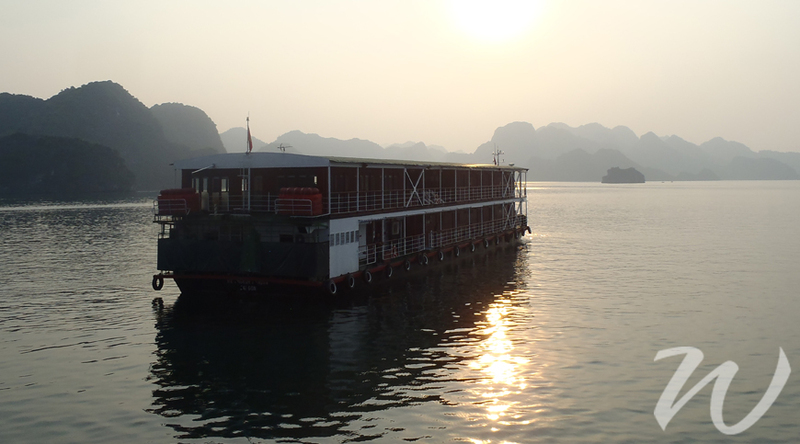 If you would like to travel the Red River Delta with the only cruise operator licensed to do so, you can visit our Halong Bay & Red River cruise page for more details.